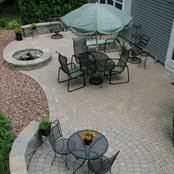 Michael’s Landscape Design was founded in the winter of 1997 by then newlyweds, Michael and Wendy Kent. After obtaining a Bachelor’s of Science degree at Stockton State College in 1996, owner-operator Michael Kent, a Burlington County native, started his first landscape company in a limited partnership. In the fall of 1997 the partnership was dissolved and Michael’s Landscape Design was created. Originally, Michael’s Landscape Design was a full-service landscape firm providing installation, design, maintenance services, as well as a budding retail facility. Though other sectors of the business were successful, design and installation was the beating heart of the company. In 2001, Michael’s stopped performing property maintenance, closed the retail facility, and scaled down the fleet and crew to better serve its design-build customers. 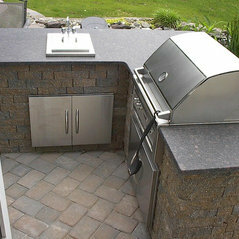 Today, Michael’s Landscape Design is one of the premier landscape and hardscape installers in Burlington County. Though patio construction and hardscape installation remain our forte’, Michael’s Landscape Design provides all facets of landscape installation including grading, sod, tree and plant installation, as well as erosion control, lighting, and drainage remediation. With our small, experienced crew of skilled artisans, Michael’s can handle jobs ranging from the largest-scale property makeover to the small garden pathway. For the last 13 years and into the future, Michael’s Landscape Design has always worked on one job at a time. And, with the owner on the jobsite, you can rest assured your home will receive the attention to detail, fit, and finish it deserves. Trust our family owned and operated business to make your dream home a reality.